Yes way rosé! 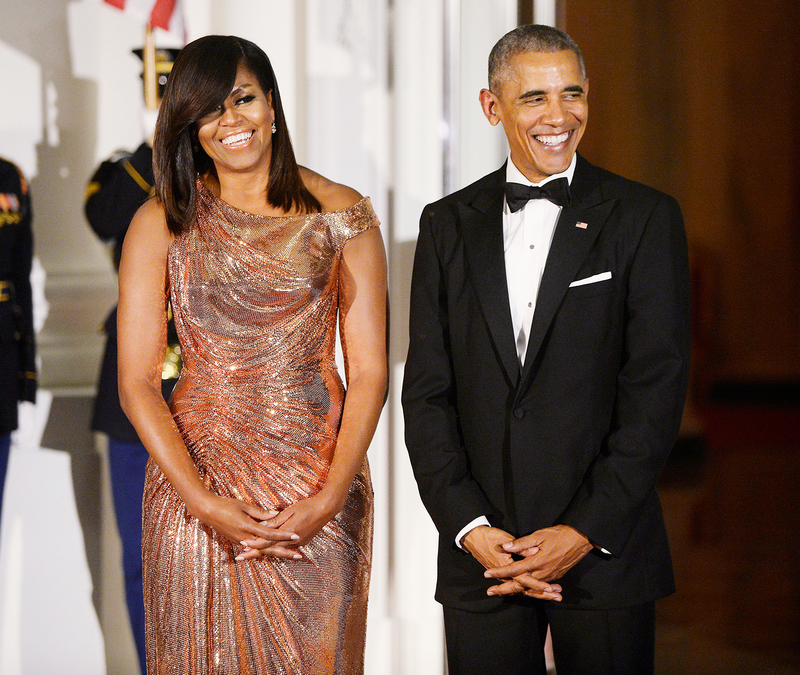 Michelle Obama looked truly stunning at her and President Barack Obama’s final state dinner on Tuesday, October 18. 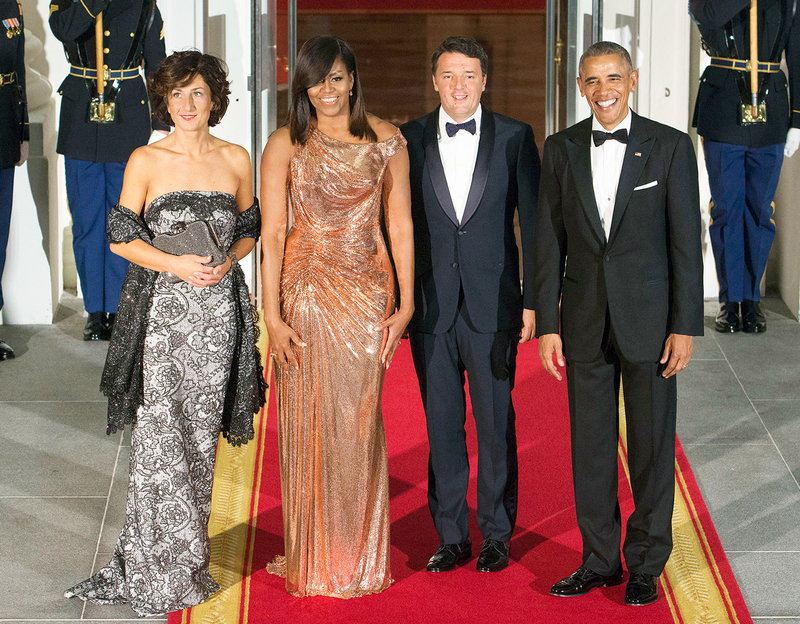 The first lady wowed in a rose gold Atelier Versace chainmail gown and Le Vian jewelry. The floor-length sleeveless ensemble shimmered from every angle and showed off Michelle’s famously toned arms as she posed for pictures at the White House. FLOTUS kept her accessories to one cocktail ring and pair of simple drop earrings and wore her hair straight, letting the gown do the talking. The president and first lady welcomed Italian prime minister Matteo Renzi and his wife, Agnese Landini, for the fete, which was catered by Mario Batali. According to the Associated Press, the menu included sweet potato ravioli with browned butter and sage, warm butternut squash salad, beef pinwheels and broccoli rabe. Dessert was an apple crostata served with buttermilk gelato. According to the AP, the dishes featured ingredients from Michelle’s garden. Giorgio Armani, Rachael Ray and Chance the Rapper were also in attendance. Gwen Stefani is also expected to perform after the dinner. The glamorous event comes ahead of the final presidential debate on Wednesday, October 19, between presidential nominees Hillary Clinton and Donald Trump.